Future this month or october or november please mention sir. Hi, Pls can you eloborate how the maximum loss risk is limited to 0.07% (Rs.250) ? ?Have you considered commission expenses also? ?Please reply.. Also please specify which software ar you using for getting option charts?? Commision Expenses are not included in this strategy. Iam using Options oracle to generate this strategy. rajandran,in which conditions the profit is infinity? SIR,YOUR GANN CHART STUDY IS OFF THE MARK. YOU RECOMMENDED THAT TATA STEEL AROUND 415 WAS HEADING TOWARDS 300.I TRUSTED AND SHORTED TISCO THAT CAUSED ME GREAT LOSS. Hai Rajandran can u eloborate what will be investment for the above trade. hi buddy why should you select 5 lots is there any reasons for it?, and buy oct call at 5200,4800 put how did you determine that values and the same as sell at nov 5000 call and 4800 put? 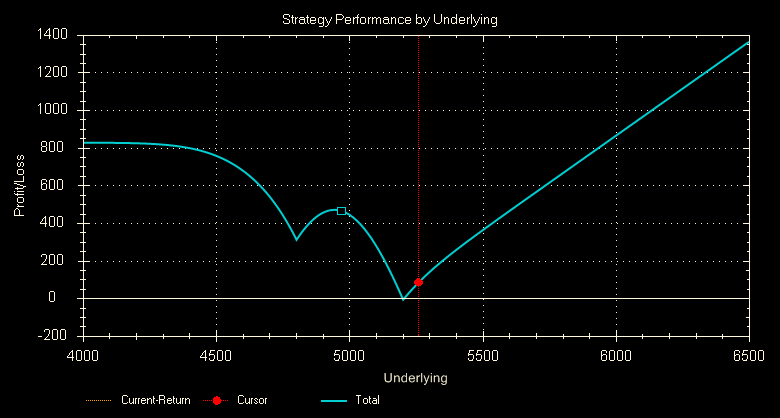 please advise on above strategy with corrections. Since you have to close positions at expiry of October 2009 series, you would be required to buy back the November 5000 call & November 4800 put which you had sold. How can you project profit or loss from the strategy without knowing what will be price of these options when you buy them back on October expiry? 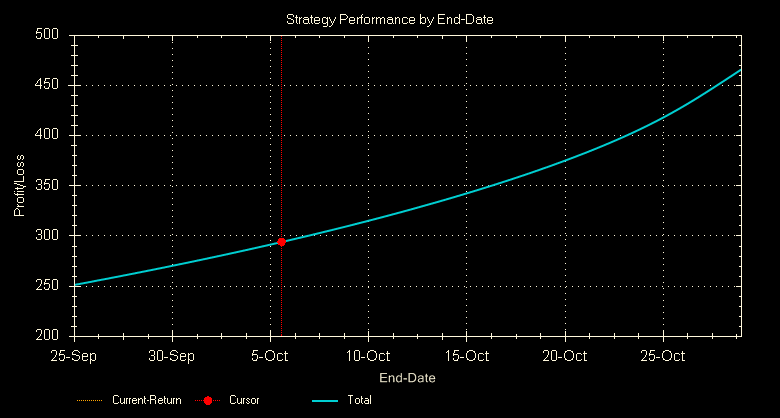 Price of these November options will depend on where nifty spot is trading on October expiry. Also it is to be noted that decay in time value of November options may not be substantial during October as whole November would still have to go. Could you Please Explain the above strategy as it’s sound interesting and will be helpful for all of us. I am trading from last 2Years in F&O some month profit but some in loss, not a stable income actually I am looking for small gain but no risk strategy or Very Low risk Strategy as like you shown above. So that I cound earn in any directional mkt without predict. I THINK APPROX. 1.5 % CAN BE MAKE EASILY IF WE ARE TAKING AN RISK APPETITE OF 5 % LOSS OF TOTAL CAPITAL AND SOME ARE TAKING IN 75 % AS COLLATERAL WHERE YOU CAN PARK IN MUTUAL FUNDS AND 25 % IN CASH. AND SIMULTANEOUSLY WE ARE GETTING DOUBLE RETURN 1.5 % ON TOTAL CAPITAL AND RETURN ON MUTUAL FUND AS WELL. APPROX. RETURN PROVIDER ARE AVAILABLE IN MARKET. PERFORMING WELL. Hi, Pls can you eloborate with a latest example trade.